This article is probably what most of you out there are waiting for. So, wait no more! The "Interviewer's Top 10 Hits" Best Compilation record is out! Here, you'll find a list of the 10 most popular questions used by those faithful interviewers world wide. I do want to caution everyone though, that this is only to provide you with a overall guide to what they want to know, and it should not be treated as text book answers, because there are none. If everyone started answering the same questions with the same answers, there would be (a) very bored interviewers, and (b) absolutely no selection process. But let me not digress. Now, this is a golden classic used at the start of interviews to break the ice and to get you to give them a good initial run down of who you are and your "hidden" characteristics, demonstrated in the way you present this self-story. You should prepare a 2 to 3 minute presentation that briefly introduces your self (where you're from), your personal interests (hobbies, community involvement etc), your work history, and recent career experience. The most time should be spent on the accomplishments in the last two areas. If you are able to give a brief, sequential summary of your life and career that relates to the job for which you're interviewing. Don't ramble on aimlessly on irrelevant nitty gritty details though. If you find yourself at the 5 minute mark talking about your high school days, you are WAY off the mark! Your conversational style, your confidence level, your ability to organize and present information. An idea of the person your are behind the suit. OK, now they want to know your motivations for joining the company. And this is usually where they can read between the lines in your answer, so think carefully when answering. First, do your research on the company, its culture and market. Not enough job seekers do enough or ANY of this which is a real no-no! Make sure you understand who you are being interviewed by. Second, DON'T give answers such as "Oh, because its such a cool place to work! ", "I like your salary and benefits package," or "My friends are already there and it makes it easier for us to hang out together." OK, so maybe I exaggerate a little bit, but you should get the picture. These answers seem "give-me" oriented and do not show the interviewer how your skills and experience deliver what the company needs. Third, DO demonstrate to them how you can contribute to the company's goals and how your skills and experience match their requirements. Use concrete examples as if you were already working there. For instance, when I interviewed with JobStreet.com for the role of Editor, I drew up a list of things that would add value to the job seeker. Similarly, if research shows that the company is trying to be market leader, tell them how your experience/skills will be able to let you contribute to adding market share for the company. This may seem like a straightforward question to answer, but look again. It is very easy to slip up here if you are unprepared. Most people seek another job because they are unhappy/unsatisfied with their current employment. But relating ANYTHING in a negative light at an interview is bad form. Most interviewers don't look so much for the reason you left, but they way you deliver your response. So, always be honest and positive. Even if you got fired from your last job, try to keep it brief yet honest. If you start ranting on about how your ex boss/company was a terrible employer, they may be thinking "Is he still dealing with bitter or sad feelings, or has he been able to focus his energy on the future and the next position? Does she place total blame on others for her situation or does she accept at least some responsibility for it?" Further, most terminations happen because of an ill-fit between company and employee, not so much performance. So, try to take this angle. If you left voluntarily, don't dwell on the negative reasons for leaving, and focus on how you can contribute better to your new company/role. Some examples of answers that would work are below. But again, don't just memorize these answers and throw them out again without being really honest. 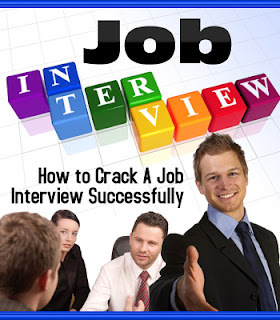 Interviews never work if you approach them like textbook exams. My company was restructuring and I chose to seek better opportunities elsewhere. I want to keep developing new skills but was unable to pursue this in my previous company. I decided to make a change to allow this to happen. 4. What Kind Of Position Are You Looking For? Avoid vague answers such as "I want an exciting job" or "I want to grow my skills in this area." It shows lack of focus and motivation for your career objective. Instead, focus on your desired position and how your skills and experience can help you be an asset within that position. For example, "I have a strong ability to communicate and market a product as proven in my 2 years experience as marketing officer at University/company A. I believe that I understand the consumer industry and can add value to your company's marketing efforts." 5. What Do You Consider Your Strengths and Weaknesses? This is a time to be honest, but don't go to extremes either way. You don't want to start telling them that you are really terrible at organizing and can never be on time. Neither do you make yourself out to be the next best thing since sliced bread. Instead, be clear and concise about qualities that demonstrate you take responsibility for your work ethic, actions, and experiences learned (or failures) on the job, problem-solving ability, and values. This is where your research has come in handy. It is a way to demonstrate that you are serious about joining the company and was motivated enough to learn about it before the interview. Don't respond by repeating each and every fact you learnt about the company, because it can seem arrogant and memorized. Do mention its major product, markets and latest development. Keep things positive. 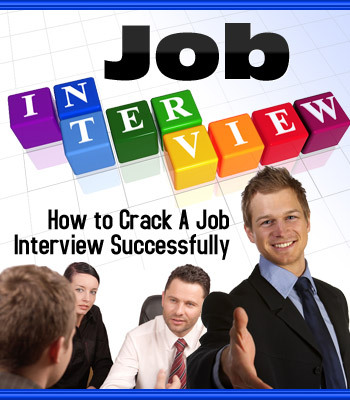 Also try to show your eagerness to learn more about the company by asking some questions to the interviewer him/herself. 7. What Do You Consider Your Greatest Achievements? Try to mention about 2-3 achievements. This is a way for interviewers to gauge how you managed people/projects/yourself in a successful manner - which can translate into how you may be able to succeed in the company if they hire you. Try to choose a set of achievements that allow you to display a variety of strengths. Ie. A successful event that you set up showing your organizational skills, successfully resolving a situation at work which demonstrates your problem solving skills and delivering an important report under difficult circumstances which shows your ability to handle pressure. 8. Where Do You See Yourself One / Five Years From Now? Respond to reflect your confidence and drive to reach a level of work that will be rewarded for your success. State realistic expectations and propose a real plan of where you intend to go within the company. Never sound overly confident, fearful or confused. 9. What Type Of Job Assignments Did You Perform In Your Last Job? Be honest and to the point answering this, even if the assignments performed don't exactly match those required in the new position. However, also take the opportunity to mention any projects your volunteered for, special projects you took on outside your work scope or elected positions held in committees in other past jobs/university. The key point here is to try to tell them about experience gained in areas that might be relevant to your new position. 10. When You Start A New Job, How Do You Establish Good Relationships With Your New Colleagues and Supervisors? It is important here to be enthusiastic and positive. Tell them how you worked well with your past colleagues or peers in projects etc. Networking skills is important so show how you used yours in your past to good stead. So that wraps out the countdown! The bottomline is, be prepared, do your research, and understand the job you are being interviewed for and how your skills / personality / experience match the job's requirements. Close the interview with any last questions, pass on your namecard if you have one, thank them for their time and give a firm handshake before smiling and saying good bye. 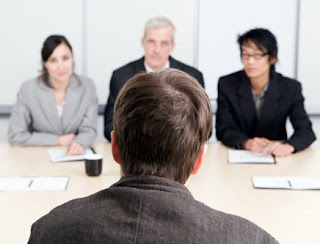 The first interview is just a lead into the second interview or offer to a job. Not everyone is suited for the job or the company. So don't be discouraged if you were not offered a position right away. Keep your chin up and your cool, and don't give up on yourself! Besides, things could be a lot worse at interviews and you could be asked a question like the one used by Goldman Sachs in the USA, "There are eight balls, one of which is slightly heavier than the others. You have a two-armed scale, which you are allowed to use only twice. Which ball is heavier?" Now where is my physics textbook again... Hahaha.. Did U get it? Hope U all can apply all this tips, if cannot, at lease half of them! I'm really sure all this question will be asked because i'm already done my interview with SPA dis morning.. Very hard! Juz pray to be selected for this job~~ huhu..
so in my site some important tips which is very urgent for every person. open this site and gain lot of knowledge. You have called for interview to judge your manners, confidence, communication, poise and self assurance. siblings, their profession etc. All questions related to your subject should be answered accurately and briefly. what is it from him that you have read. Inability to answer or a diffident response exposes the lie. 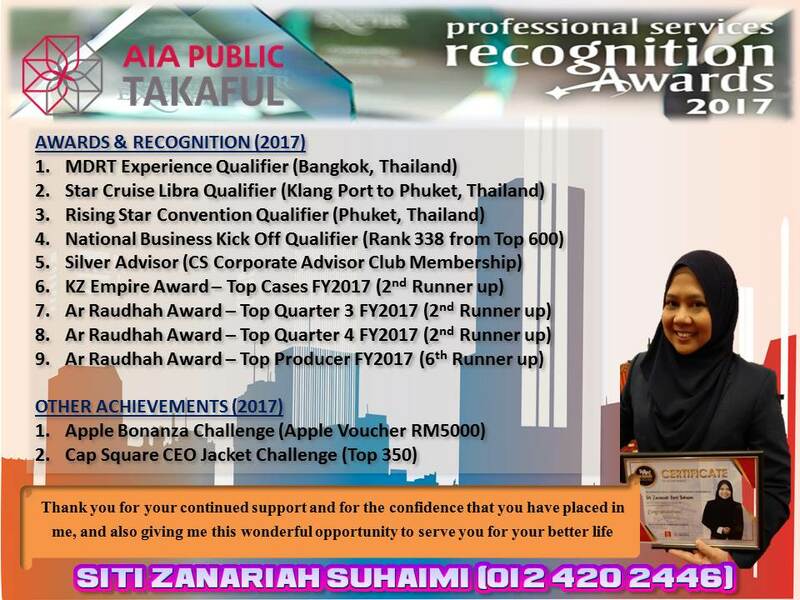 hye cik tom.. thanks sudi bookmark.. ni pun ambik sikit dari artikel.. juz nak share la.. interview sebenarnya susah, tapi kaau prepare baik2 ok je.. tapi tadi susah la.. huhuhu..
anna ada bagi name card ke?..kalau anna yakin insyaAllah anna boleh dpt job tu..anna gi interview under k'jaan ke tu? biasalah bkn senang, dorang saje nak test2 kita tu samada kita dh bersedia dgn soklan2 yg menguji mental kita...hope u sukses..
anna takde name card lagi la kak sal. hihi. ha'ah, interview GOV. under SPA. banyak soalan provoke. nak mengisi 9 jawatan daripada 300 org yg dipanggil interview. Kalau ada rezeki alhamdulillah..